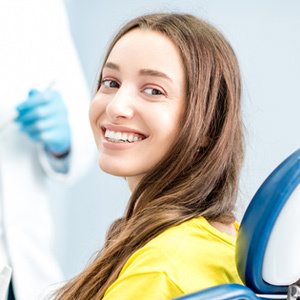 Today’s dental care has advanced leaps and bound over the last century. But these advances are tiny steps compared to what many believe may be coming in the next few decades. This optimism arises from our growing understanding of deoxyribonucleic acid (DNA), the chain-like molecule that houses the genetic instructions for the growth, function and reproduction of every cell in the body. As researchers unlock the secrets of this vast genetic blueprint unique to each individual the possible applications from this knowledge are astounding. Here are just a few possibilities that could one day impact everyone’s oral health. Preventing tooth decay. This rampant disease, triggered by bacteria (particularly Streptococcus mutans), can cause extensive damage in otherwise healthy teeth. There’s already some indications from the study of genomics that we may be able to stop or at least hinder this disease in its tracks. Already we’re seeing advances in gene therapy that might be able to inhibit the growth of Strep mutans and reduce its colonies in the mouth. Growing new teeth. Composed of various layers, a natural tooth is part of a dynamic system of bone and gum ligaments that allow movement, protection and nourishment. Although dental implants are the closest and most advanced artificial approximation we now have to them, implants still can’t fully measure up to the function and capabilities of a natural tooth. But further insight into the genetic code may one day allow us to reproduce a living replacement tooth for a lost one. Harnessing saliva for detecting disease. The impact of genomics related to the mouth could impact more than just the mouth itself. Researchers have discovered that saliva contains genetic information similar to blood, urine and other bodily fluids with markers for various disease conditions. Unlike other fluids, though, saliva is relatively easy to collect. The key is new equipment and testing protocols to take advantage of the information already available in a single drop of saliva. These examples illustrate the range of possibilities for better health in the future: a reduction in dental disease early in life; new and better ways to restore missing teeth; and quicker ways to diagnose dangerous health conditions.